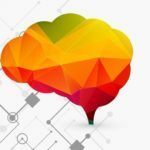 RankBrain, TensorFlow, and AI? Huh? Machine learning methods in SEO (Search Engine Optimization) constitute the current, most effective system for optimizing websites and improving their SERPs (Search Engine Results Pages) in Google and other search engines. Apparently, RankBrain is the latest algorithm that is part of Google’s Hummingbird.1 Hummingbird has included other platform updates such as Panda, Penguin and Pigeon. Google’s RankBrain uses artificial intelligence that creates vectors from a vast array of written text.2 RankBrain has become Google’s third-most significant signal for the result of a search query; Google has not declared the first two algorithms’ signal sets- those that determine SERPs. Yahoo has also followed Google on TensorFlow by introducing an open-source platform TensorFlowOnSpark.5 Migrating from TensorFlow to TensorFlowOnSpark requires changing only a few lines of code. This open source framework is also for deep learning, or training artificial neural networks on enormous data and images, and directing these networks to contextually related new data. According to Christopher S. Penn, a Marketing Speaker, machine learning will be the best tools for 2016 and going forward.6 Up until now, SEO marketers have relied on keywords and phrases to create the content of their marketing strategy. Machine learning would instead identify a concentrated cluster of related words, then it will build nodes of connections from which the computer learns and develops. Penn suggests that first, digital marketers need to identify the top 10-20 pages, download the text from those pages to a machine learning tool, such as TensorFlow, to reveal related topics to the subject matter, and market to those related topics. By capturing a new set of related topics, content marketing will be more effective. Similarly, Aleh Barysavich, Founder and Chief Marketer at Link-Assistant.com, a company that makes the SEO PowerSuite, advises not only to write content on related keywords, but cover many aspects of the subject matter at hand.7 For instance, if you were to write an article on “goals,” you wouldn’t merely write on “setting goals,” but also on “define goals,” “how to set goals,” “goal achievement,” and other related terms, which would lead to a robust, complex article that utilizes many concepts and keyword phrases throughout the article. In this way, any user should be able to relate to some keyword concepts and topics throughout the article. In fact, Barysavich provides a systematic way to approach effective websites’ semantic web content marketing that will appease RankBrain. First, he says to start off with Google AdWords’ Keyword Planner and instead of concentrating on one keyword phrase/main phrase, also to include multiple keyword phrases for any one page. Then you would apply these multiple keyword phrases into titles, subheads, and other sections of the content so that if someone were to search for the keyword concept, it would be included. Next, you would actually search for those keyword phrases, and on the bottom of Google’s pages of “searches related to the search term.” You may want to incorporate these keyword phrases or similar keyword concepts and place them throughout the body of the creative work. The point is not to stuff the content with keywords, but rather to touch on various aspects of the keyword concept so that many ideas will be covered. Then, you would need to have your content pass what Barysavich calls the “People Test“. The whole idea is to provide quality content to searchers that provides value to their search, so as not to manipulate many search ranking factors. Barysavich also urges webmasters to be sure to review their web analytics to assess if visitors not only clicked on the SERP but stayed on to read other pages, or if they engaged with social media within the article, etc. Overall, RankBrain is focused on the quality of the search. If you consider what your audience will benefit from reading the content, then most likely your objectives will be favorable to Google’s goals, which are to provide content that people will find valuable. Yesterday, Larry Kim wrote about RankBrain and “dwell time”. noting that “TensorFlow 1.0 also adds an experimental release of XLA to help developers target specific CPU and GPU arrays,”. XLA is the acronym for Accelerated Linear Algebra. Since the start of the RankBrain algorithm, Google has been able to understand complex search queries. As a result, content on the Web today must meet high quality requirements if they are to achieve good rankings. It is no longer enough to optimize individual keywords; instead, it is about the greatest possible relevance to the topic. Added to this are the increased mobile use of the Web and the increase in voice-based searches. What should be done to counter these developments?